Type in text and listen with the iSpeech Text to Speech Pro app. 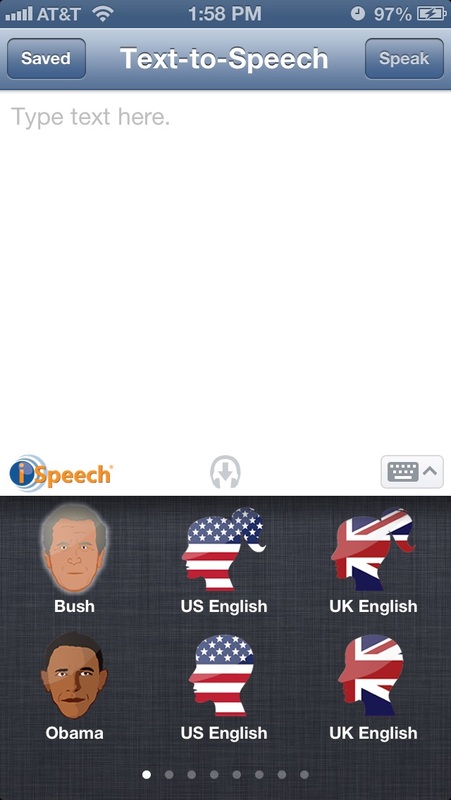 iSpeech converts text to speech with the best sounding voices anywhere in over 26 languages. Listen to your emails, favorite news articles, documents and more. Also listen to your text read out loud in iSpeech Obama and iSpeech Bush voices. 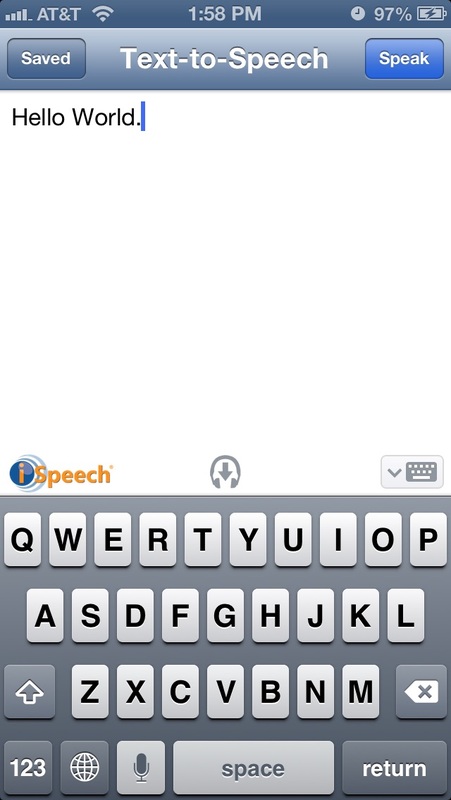 iSpeech Text to Speech Pro is powered by the iSpeech text to speech and speech recognition cloud. To speech-enable your apps, visit the iSpeech website (www.iSpeech.org) and download free SDKs for your platform. The app itself is nice, but it's spoiled by a super-annoying pop-up ad asking you to get celebrity voices. I wish there was an option to turn that off! 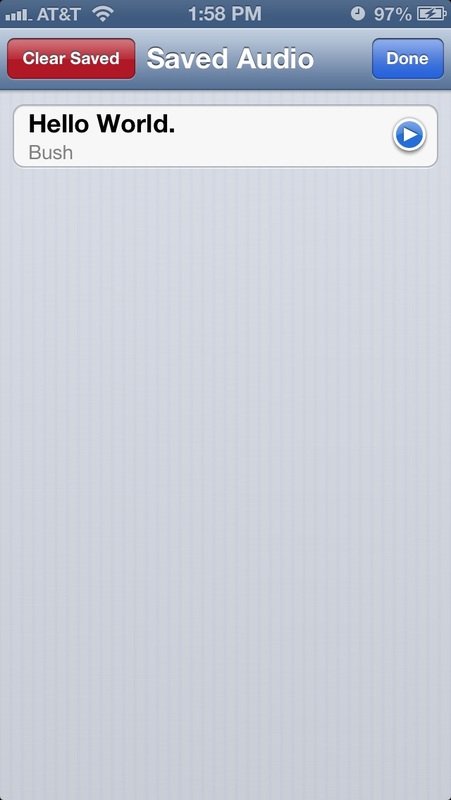 Don't buy Just use Apple's built in Voice Over under settings. I bought the pro version and it has ads. It seems every time I open the app I get sent to App Store asking me to buy an app I don't want. I bought this thinking i would paste long text and let it read to me. I really liked the sound of the voices on this app and that is why I bought it. However the app doesn't allow long text. It's become useless to me. Wish I could get my money back. Apple voice over has no problem reading long. I just hate the robotics voice. Kill the Talkz from opening, I would not care if this was a free version but when I pay for an app I don't want to see spam popping up. I love this app and it is so fun to use! When I lost my voice, it was definitely very helpful. However, ever since I got the new update, the app will not let me choose the voice I want. I hope that the developers fix this immediately. Spent $3 on this app and it doesn't work properly nor is user friendly. Do not buy this app !!! This is fantastic. I love this thing.